How Does Peugeot Motability Scheme Work? So, you want a brand new Peugeot that’s fully adapted to suit your individual needs – but how does the Motability Scheme work and are you eligible? At Booths of Ditton, we aim to ensure that we help all motorists fully understand the intricacies of the scheme before making a decision. As such, we’ve taken the time to break the whole process down into three simple steps to help you get a car quickly and efficiently as possible. If you’re unsure whether you’re eligible for the Motability Scheme or not, it’s important to remember not to worry. Our Motability experts are on hand to help you check if you qualify for the scheme or not, so you won’t have to navigate the rules alone. Of course, you can also determine your eligibility yourself; if you’re in receipt of the Higher Rate Mobility Component of Disability Living Allowance (HRMC DLA), the Enhanced Rate of the Mobility Component of Personal Independence Payment (ERMC PIP), the Armed Forces Independence Payment (AFIP) or the War Pensioners' Mobility Supplement (WPMS), you may be able to join the scheme. 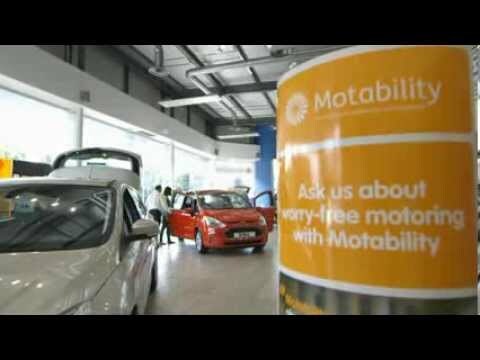 Contact our Motability specialists today to check if you’re uncertain about your eligibility. Once you’ve checked and had your eligibility confirmed, the next stage is to choose a car. Take a look at our latest special offers or speak to our team of experts who are there to advise you and share their extensive knowledge about Peugeot models and the various adaptation options available. Our unrivalled product knowledge and years of experience dealing with customers who qualify for the Motability Scheme will ensure that we can help you to identify the car which will best suit your needs. Contact us today for more information about whether you are eligible for the scheme, adaptations, about the Peugeot marque, or to arrange a test drive in the Motability vehicle of your choice. Welcome to Booths of Ditton Peugeot. To optimise your experience, cookie settings on the website are set to allow all cookies. By continuing your journey throughout the website, you consent to this. You can change these settings here. Booths of Ditton Peugeot are a credit broker and not a lender. We are Authorised and Regulated by the Financial Conduct Authority. 657132 Finance is Subject to status. Other offers may be available but cannot be used in conjunction with this offer. We work with a number of carefully selected credit providers who may be able to offer you finance for your purchase.